Many individuals who seek jobs in this country for a brief period of time find themselves fascinated with everything the country has to offer. As a result, they decide to stay longer and apply for permanent residency. Aside from its booming economy, Australia is a beautiful place to explore with many cities providing unique views, adventures, and experiences. In fact, these cities have prompted other individuals to come to Australia not to work but to explore and relax. This capital city has a population of three million, provides an atmosphere of the beach and relaxed outdoor lifestyle, as well as of unique culture and arts. In Bondi and Manly, you can experience beach activities like jet skiing and sailing. You can also watch operas and enjoy quality food and wine. If you are in Sydney, you should not miss the iconic Sydney Opera House and the Sydney Harbour Bridge. There is also the Queen Victoria Building and The Strand where designer fashion stores abound, perfect for the fashion icon in you. Meanwhile, if you’re looking for vintage fashion, you should visit Newtown. The Centennial Parklands, the Royal Botanic Gardens, and Hyde Park are also a must-see. Sydney is also famous for Sydney Olympic Park which is a state-of-the-art sports venue. This is the second largest city in Australia. Being the place of a number of museums, theaters, and art exhibitions, it is where you can see the city’s oldest cultural institution called the Athenaeum. There are also European inspired cafes, as well as authentic Asian restaurants. And if you need to have Italian food, then try Lygon Street in Carlton. You can also stroll along the Yarra River or experience the gardens and parks that the city can offer. In Port Phillip Bay, you may bask in the sun and sand or enjoy world class wines in the Yarra Valley and Dandenong Ranges. If you would like to know how it is to be an Australian, you should visit Canberra as it explains the country’s history, politics, national movements, and art. In this city, you will see bush and parkland co-existing and also see various native animals and plants in Black Mountain, Red Hill, Mt Majura, and Mt Pleasant. This is also as fascinating as the other cities of Australia. If you are here, you should visit the South Bank Parklands, Roma Street, Portside Wharf and Brisbane Forest Park. You can also experience rock climbing at the Kangaroo Point Cliffs and the Stone Bridge. If you would like to go shopping, then the Queen Street Mall will bring you a kilometer of chic shops and arcades. You will also enjoy the beach in the east of Brisbane that boasts of some of the world’s largest sand islands. The Gold Coast and Sunshine Coast are also popular surf beach destinations. This is another city worth visiting. This place is surrounded by gardens and overlooks the banks of the River Torrens. Stunning lights will guide your way as you stroll along the boulevard and the North Terrace’s historic buildings. You can then continue to shop at the boutiques at Rundle Mall for high-end fashion. There are high quality food outlets and top restaurants. 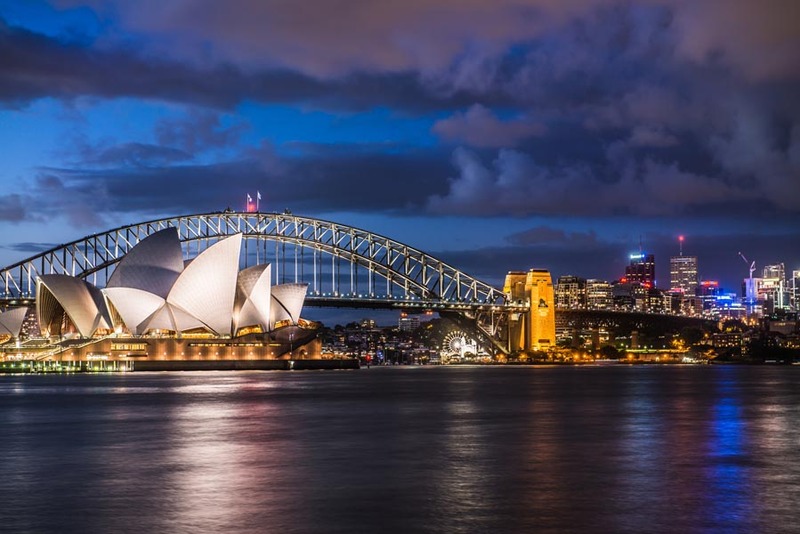 Apart from these cities, there are other many destinations you can visit in Australia. If you wish to visit all these places in Australia or come to Australia for a short business trip, then you should apply for a visitor visa. This visa will give you multiple visits within a 12-month period for visits of up to 3 months. You simply have to satisfy these visitor visa requirements for Australia. 1. If you are a passport holder of any of the eligible countries that are outside Australia, you may apply for an ETA or Electronic Travel Authority. 2. You should also have sufficient funds to support your trip which should be at least AU$5,000. Furthermore, you are required to have an “incentive to return” to your home country which basically means you have the intention to go home after your visa grant is over. 3. Satisfy character and health requirements. However, take note that you are not allowed to work in Australia and that you are only allowed a maximum of three months to study. So you have finally bowed to the challenge and decided to venture into the unknown as you tick a few items off your bucket list. That’s great, that’s commendable. But there are few things that you ought to know. A vacation abroad, however short or long it may be, presents a myriad of new and unseen challenges. That is, in as much as it is touted to be just what you need to ‘feel alive again’. Nonetheless, the eventualities that are a characteristic of a trip on foreign soil should not dissuade you from leaving your hometown. In fact, embrace it as a once-in-a-lifetime challenge. That being said, here are few essential traveling tips that will help you stay prepared for whatever curve ball your upcoming adventure will throw towards you. Having several copies of your passports and driving license makes it easy to identify yourself in case your original copies are stolen, lost or misplaced. Bring a copy of your original documents with you,( store them separately from the originals ) and leave the other copies with a trusted friend, spouse or relative. Besides, most governments often offer special travelers enrollment programs in their embassies or consulates on foreign soil. This way, should you lose your original identification documents while abroad, you can use your photocopies – accompanied by proof of loss – to apply for a new one. According to a 2014 survey, lost and stolen tourists’ wallets are one of the leading causes of identity theft and credit card fraud. Thus, just carry only the cards that you will need to see your trip through. By all means, do not travel with unnecessary debit and credit cards nor should you carry your checkbook. And if it is necessary to carry more than a single card, consider storing away the other one in a secure location such as your hotel safe as soon as you unpack your bags. In similar tandem, pack absolutely only what you will need for your trip. Avoid unnecessary luggage to streamline your passage through various airport customs. In the next couple of days, you will be in an entirely alien land, maybe unaccompanied. The only thing that will stand between you and access to the very basic necessities of life – leave alone the expected luxuries of your trip – will be your money. For starters, it should go without saying that at this juncture, you should have a decent stash of cash set aside for your forthcoming excursion. The best way is holding this money in the form of traveler’s cheques, or on a Visa/MasterCard branded debit/ATM card. By all means, avoid walking around with a significant amount of money ( in cold hard cash ). Depending on your traveling budget, the maximum you should ever have on you is no more than $500. Otherwise, you will be running the risk of getting robbed or scammed and thus losing a huge part of your traveling budget. While at it, make sure that don’t lose sight of your debit/credit card, whether swiping at a gas station or a high-end eatery. It is only natural and human nature for any population to treat tourists differently. Some will overquote their prices; others will try to swindle you by taking advantage of your minimal knowledge of the area while a few establishments will award you special privileges. Nonetheless, it is always wise to try to blend in the local population as much as you can. Therefore, even as you zip up your bags, conduct extensive online research on the mannerisms, dress code and the expected code of conduct of the local population. In some Muslim-majority countries, for instance, women are supposed to cover their heads in public. So factor that even as you shop for your bikini outfit. In line with blending in with the local population, it also helps to learn a bit of the local lingo and etiquette of the local community. This will not only make it easier for you to converse with the natives but will also inspire them to extend invaluable hospitality and friendliness to you during your stay. Europe is an amazing symbiosis of Old-World Glory with ritzy modernization. On one hand, you will find urbanized cities with quality gentrifications, while on the country side you will find small towns and communities lost in swathes of vast vineyards of France and Italy, in the steep hills of the Bavarian Mountain Ranges and in the open valleys of the Balkans. These small towns are frozen in space and time and offer a unique glimpse of the world we left behind. Europe is a mélange of astonishing topographies that has a huge impact on its culture, most notably its agriculture and food habits. In this article, we will explore the vastness of Europe through its food and wine destinations. The contemporary food scene of Europe is about exploring the different corners of its rich history with a dash of modern creativity. From Polish Pierogis to German wursts, to Italian pasta, to Swiss chocolates, Europe has many specialties in its food section. Go towards the Mediterranean and you will be greeted by fresh salads, nutty oils, and lots of visual appeals. The Northern and Central part of Europe specializes in meat dishes, crafted with complex herbs and spices. · Sybillini Mountains, Italy– The countryside of Sybillini Mountains is a microcosm of all that Italy has to offer. Explore its bucolic valley filled with small towns like Castelluccio and Piano Piccolo. You can get your hands on authentic local produce like cured pork delicacies, mountain honey, black truffles and an amazing variety of sheep-milk cheese. A number of small cafes and bars also create amazingly smoke flavored pizzas, untouched from any kind of modern cooking appliance. · San Sebastián, Spain – This city is notorious in the realm of serious foodies and is often considered as the world capital of gastronomy. The city has its roots deep down in the Basque culture and has the most Michelin star restaurants per capita in the world. Try out hundreds of specialties in the town’s unique Pintxos bars, serving exclusive gourmet dishes along with the best drinks in Europe. It also attracts different culinary students from across the world and even hosts a Gastronomy Congress each year. You will also find a perennial and perpetual flow of celebrations and festivals, all centered around food. · Athens – Greece is about breezy, romantic sunsets with a year-long balmy Mediterranean sun. The local cuisine is studded with fresh fruits, dry nuts, fish and mutton and lots of healthy flavorful oils. History, along with geography has a tremendous impact on the local food style, which evolved out of European and Middle-Eastern influence. Check out some of the city’s favorites like Gyro (a pitta wrapped meat roll), Souvlaki (grilled meat), kebabs (charred meat), Saganaki or Sfougata (deep fried cheese balls) and honey glazed Feta Me Meli, a very popular wheat-based dessert. You will also find some of the best salads of the world. Historically, the alcohol scene of Europe was divided into zones. France, Italy and Spain specialized in wine, while Germany and the Czech Republic were known for its beer productions. Whiskey and Irish Scotch were Britain’s favorite drinks while towards Russia the preference shifted towards vodka and other hard drinks. Other unique drinks like the akvavit of Scandinavia, absinthe of Prague and fruit-based brandies like French eau de vie, Balkan Rakia, German Schnapps etc. evolved in certain pockets. Budapest lies at the center of this massive alcohol scene of Europe and has smoothly amalgamated niche aspects of each culture. It is the de-facto alcohol capital of Europe, at least in terms of its amazing variety. But Europe’s association with wine is ethereal. If you are want to explore the wine scene of Europe, you have to head to these two destinations, without fail. · Tuscany– Tuscany has an ineffable charm to it. It hosts the world’s most celebrated vineyards and gastronomy centers. Here food and wine are treated like an art and you will be amazed at the passion of locals for good food. The rustic landscape offers a number of vineyard tours designed to explain the beauty of viticulture from the start to the end. 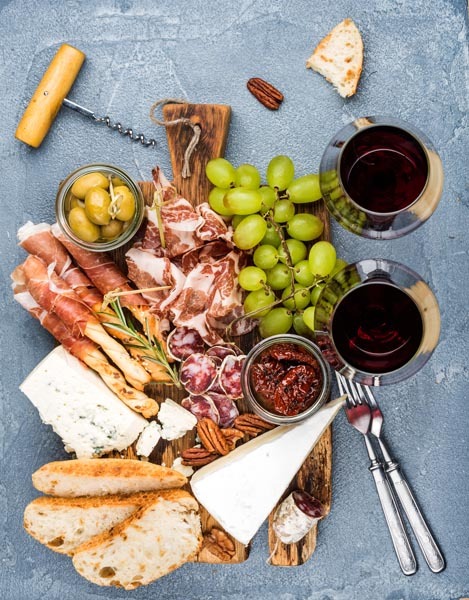 On your way, score as much wine as you can carry because you will find some of the most sought-after produce in the world like the Cabernet franc, Sauvignon blanc, Chardonnay, Vin Santo, Super Tuscans, Merlot, Syrah, and Pinot noir, among many other varieties. · Slovenia– Many conventional tourists ignore this Mediterranean country of the Balkans, but those that do never forget its beauty. The agricultural asset of the country is its smooth and rolling vineyards, that produce one of Europe’s finest wines. In fact, viticulture existed in Slovenia long before it became popular in France and Italy during the medieval era. The Goriška Brda region is often considered east Europe’s Tuscany and grows its classic Rebula white wine and Merlot-Cabernet blends. The valley’s idyllic landscape is probably the most epic place in Europe to taste some local-made wine. Go towards the end of September, when the grapes are harvested and you can find a lot of local tours of the vineyards. With the blend and availability of both western and Asian dishes, this city offers more than what you need for the ultimate travel. One outstanding feature is the fact that you enjoy your food and wine in an environment that refreshes both the body and soul. With restaurants almost everywhere and high-quality tourist hotels both inland and on the beaches, the experience can be one in a million. The friendliness of the Hawaiian people will amaze you right from the people serving you to the locals, as you binge while discovering the city. The recipes include the famous ones that you may have always wanted to try. Picture yourself sitting at a well-set dining table under beautiful lights while a waiter is smiling down at you requesting if they can take your order … now that is a taste of Atlanta. Night and day alike, this city offers what all food lovers dream about all their life. No wonder its restaurants, which are world famous for instance, the largest drive-in restaurant in the world … are always busy. Get to sip the evening away in beautiful wine glasses that will make you appreciate being alive at that moment. With good hotels to stay at, your vacation will always be a success in this city. A serene environment always goes well with any meal. You can delve into the rich variety of foods available in cosy restaurants in this city. It is perfect for those who just want a place from the busy daily life because the forests, gardens, ponds and meadows just do the magic on your inner peace. Whether travelling as a couple or alone, there is something for everyone. Ranging from simple recipes to customizable orders, all you have to do is take a flight to this food haven and get back your life. Famous for its wineries, this city will be an excellent choice for food lovers. You have a variety of wines to pick from to accompany that mouth watering meal. It is purely for those looking for something to finish their craving. It has over time gained popularity through its restaurants that leave every visitor satisfied. Cocktails in this city are taken to a whole new level with the presence of drink experts. Simply walk into any restaurant and place an order and kickback to wash away all the troubles you may have been facing. This city girded in a veil of rich history is the final one in this list of top food and wine destinations. Enjoy a meal at the heart of the US and feel like the heroes who have shaped the direction of the United States of America. It is a busy city, and so the restaurants are busy day and night offering you a taste of the American life. As the seat of power, you are assured of quality in both the meals and the services provided. It is a great place to travel to and enjoy time away from home while eating the dishes of your dreams. You may need to be ready to spend more in the 5-star hotels which are frequented by executives. Although travelling for food may not be a cliché among most travellers, the pace it has picked up in the recent years is encouraging. You can now tour places like the US and indulge in a broad range of dishes and wine. Dining is not limited to just the food and wine but rather their combination with an environment that takes your breath away. The above cities will offer you the time of your life, and you will be glad you made the trip. Spring is already here, and it is almost summertime! This means longer, warmer, and fun-filled days. The long-awaited summer break also means that parents have more time on their hands to spend with their little ones. And what’s a better way of doing this than visiting an amusement park accompanied with good friends and family? Unlike other expensive holiday ideas of spending your summer – such as flying abroad – tickets to most amusement and theme parks are relatively affordable. What’s more, a majority of these theme parks will have irresistible offers on their tickets as the summer heat keeps sweltering. Here’s a quick primer on some of the best amusement parks in this side of the hemisphere. Popularly touted as the world’s Roller Coaster Capital, Cedar Point has a total of 17 high-powered roller coasters. These should be enough to see you riding all day. In fact, most regular visitors here will fondly describe it as an ‘adrenaline junkie’s paradise.’ It has a broad range of recreational activities fashioned for both grown-ups and kids alike. It is an old-fashioned amusement park tailored for those of us who are pretty budget conscious and those who miss the 90s theme parks. Unlike many theme parks around the world, admittance to Knoebels and parking are both free of charge. And with a budget of a paltry $100, a family of four can ride, swim and eat all day here. 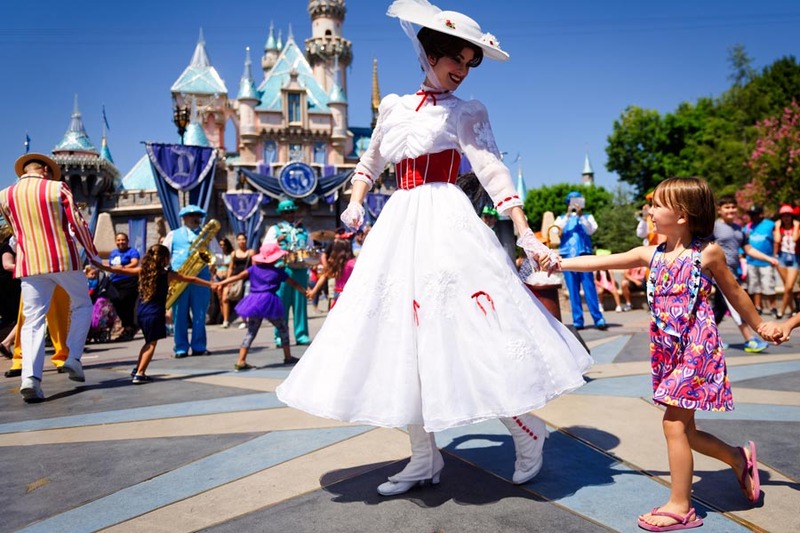 Commonly referred to as the world’s happiest place, Walt Disney’s Magic realm is the place where you take a trip back to your nostalgic childhood. Otherwise, you can choose to transport yourself to the cinematic Space Mountain and say hello to your favorite childhood Disney Characters. Spanning across over 65 acres, the Schlitterbahn Water Park has been voted the best Amusement Park in Northern America for the past 12 years in a row. It is one of the few water parks that features a combination of a roaring water coaster ride, surfing, beaches, and much more. This park has outranked Cedar Park as the ‘top theme park with the most roller coasters’ several times in the past two decades. Just like its counterpart in Sandusky, Ohio, the Six Flags Magic Mountain has a total of 18 coasters – including the most famous one here – the Green Lantern. Situated near Los Angeles, the theme park has enough Hollywood flair to keep you busy if you’re not keen on riding the roller coasters. Although a majority of you associate the Universal Islands of Adventure to the comical and oddly diabolical Harry Potter’s Wizarding World, the theme park is also home to a generous number of 3-D rides, roller coasters, a vibrant nightlife and plenty of good restaurants. And while at it, don’t forget to try the butterbeer – the famous wizarding non-alcoholic beverage. It is one of the most frequented amusement parks in the US receiving more than 3 million tourists every year. The park is particularly renowned for its all-family-friendly tourist attractions; a good example being the Snoopy Island. Besides, any ticket bought to the park includes the admission to the nearby themed water park christened as Boomerang Bay. It was originally started as a recreational area for the employees of the nearby Hershey Chocolate Factory. However, several decades later it has been renovated to a fully-fledged theme park with plenty of chocolate paraphernalia to boot. More recently, a water park and a trailer of roller coasters were added to make it even more appealing to all generations. It is one of the only three SeaWorld parks in this side of the world. The theme park was established in 1964 in pursuit of the idea of building the first underwater restaurant in America. Unfortunately, this project never materialized, and instead, they ended up with a marine zoological park. The amusement park showcased over 20 live marine shows featuring dolphins, killer whales, and sea lions. And next year, the park is set to add five more attractions to its turf including one to be named as the Ocean Explorer – a live simulation of riding in a real life submarine. It is actually one of the oldest theme parks in the US. And, therefore, the perfect place for those looking for classic thrill rides, simple rides or to relive the good ol’ days of family fun. Are you stressed out and bored with your hectic daily schedules? Do you want a change? Are you planning to go on a holiday to enjoy, chill and relax in peace? If yes, there are many holiday destinations in the US you can visit. The modern and dazzling America is something everyone is familiar with. But, if you have made too many business trips to the USA, you may not even want to see again. But, everyone is fascinated with American history. From the history lovers, businessmen and travel lovers, everyone can enjoy a piece of the old era. You can step out of your routine to check out some amazing historic travel destinations in the USA this holidays. Some are part of the North American holidays, while others are obscure and locally known. With a lot of mesmerizing vacation destinations across the USA, it can get confusing to shortlist a few where you boldly venture into cities like New York, Toronto, San Francisco, Vancouver, Los Angeles, Montreal, Las Vegas or Chicago. Etc. But, it is the simple and historic cities of the USA that offer rich and charming US holidays. The US is one of the most versatile destinations in the world. Thus, one can easily choose from a range of wilderness, sea, mountains, desert and different holiday destinations. California is the largest state and one of the top holiday destinations in the US, situated along the western coast. Oakland, San Jose, San Diego and San Francisco are the major cities you can explore here. Southern California also boasts of many theme parks including Universal Studios, Disneyland, Six Flags Magic Mountain, California Adventure, Knott’s Berry Farm and a lot more. The city of San Francisco is also an attractive tourist destination in California that comprises of some tourist attractions like the China Town, The Golden Gate Bridge, the former prison of Alcatraz Island, the Embarcadero including Mission Bay and South Beach. Warm sea breezes, the bounteous tropical landscapes and the stretches of white sandy beaches make Hawaii a heaven in itself. If you are looking forward to enjoying adventurous activities and umpteen leisure, Hawaii is a just the right place for you. New York City is not only famous in the US, but also across the world. It is chock-a-block of different ethnic cultures and traits. The Empire State Building, the Statue of Liberty, the Big Apple and the Central Park are some of the hottest tourist attractions in the US. Amidst a panoramic ambiance of American capital, there are such delightful historical treasures to be discovered. You should explore some of the most phenomenal historic sites in the Washington DC walking tour such as the White House, the US Capitol Building, the Vietnam War Memorial, the Korean War Veterans Memorial, the Jefferson Memorial, the National Gallery of Art, the National Air and Space Museum, the Franklin Delano Roosevelt Memorial, also the Washington Monument, the Lincoln Memorial and Reflecting Pool, the National Museum of Natural History, and the Holocaust Museum. This is a fascinating and dynamic city with the multitude of historic sites and delightful cultural activities. In this historically glorious drinking town, you can check out some historic sites like Boston National Historical Park, Boston Children’s Museum, Museum of Fine Arts, Harvard Art Museum, Harvard Museum of Natural History, Boston Common and Public Garden, Fort Warren, etc. In addition to the collection of historic sites, you can also enjoy the scintillating nightlife; walk on the freedom trail, or shopping in Boston’s oldest marketplaces like Faneuil Hall and Quincy Market. Plus, there is another kind of history to discover – sports history. With the legendary city sports teams, you can check out some awesome stadiums, where sports history is created. When you plan US holidays, Williamsburg hardly shows up in travel guides or US holiday itineraries. But, what most international travelers don’t know is that this town is a very popular historic travel destination that reveals the nation’s colonial history. So, check out the fully operational 18th-century colonial city for the Governor’s Palace, the College of William & Mary, the James River Plantations, the Colonial Parkway, the original Jamestown Fort, the Yorktown Battlefield, the Jamestown Settlement and Yorktown Victory Center. This city is like a largest outdoor history museum with real live people in it. Since the US treated the colonial era differently than Canada, this kind of town has a different context in a US holiday than in a Canadian holiday. Amsterdam is famously known for being a laid back and liberal city. It’s one of the top destinations in Europe to let loose and create unforgettable memories. Well, although Amsterdam has a reputation for being a party city, it’s also very scenic and has an incredible history. When you visit Amsterdam, you can rent a bike and go for a ride to enjoy the local scenery. Don’t forget to swing by Nemo Science Museum for the hands on exhibits. You can also check out the Anne Frank Museum and Van Gogh Museum; just remember to purchase your tickets well in advance to avoid long lines. 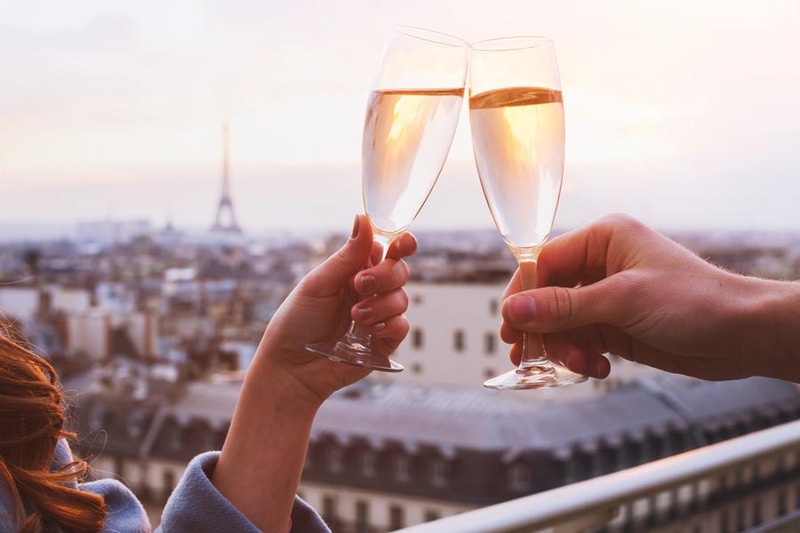 Paris, also known as the city of love, is world famous for its’ romantic restaurants, charming cultural attractions, Baroque architecture, and iconic strolls. Millions of people from all over the world visit Paris every year to experience the city’s atmosphere, fashion, art and high caliber museums which are unlike anywhere else on the planet. Whether you visit Paris for its’ impeccable wine, cuisines, art or fashion, you are sure to fall in love with it. Here, you can enjoy breathtaking views from the top of the magnificent Eiffel Tower, and you can even check out the best masterpieces and artwork on the planet in the Louvre. Barcelona is one of the most passionate and romantically vibrant destinations in Europe. The city has every element you would wish for including exotic locations, extraordinary medieval architecture, excellent food, beautiful landscapes and vibrant culture. From the ancient cathedrals, to the groovy beachside nightclubs, Barcelona offers you the very best of both worlds, and this is one of the reasons it attracts all kinds of travelers from all over the world. London is one of the easiest destinations in Europe to explore. Everyone speaks English, navigating the city is easy, and there is plenty to see and do. London attracts people from all walks of life thanks to it’s many famous attractions like the Tower of London, Buckingham Palace, The British Museum, among many others. London is also the home of the Beatles, it’s the historic capital of the British Empire, and was an inspiration for the book “A Tale of Two Cities.” These are just some of the reasons why London is a top destination in Europe. Prague is the capital and largest city in the Czech Republic. It is one of the best destinations in Europe to wander around all by yourself, with plenty to see and do around every corner. The residents of Prague are very friendly, and are always willing to help out travelers. The hotels are quite affordable as compared to other destinations in Europe, and there are many free attractions in the city. Venice is the perfect European destination to go for a honeymoon, especially for couples who enjoy theatre performances and local cultural events. This gorgeous honeymoon destination offers tourists an unparalleled blend of unforgettable memories from the gondola rides in the Grand canals, to cappuccino flavored kisses. Consider visiting Venice in the winter season if you want to experience this beautiful city at a slower pace and get to soak up its’ incredible culture. Its’ grand canals, extraordinary architecture, and old fashioned atmosphere usually become magical in the winter season, and the lack of crowds is an added bonus. The whole city of Rome is actually a World Heritage site. Tourists from all walks of life visit Rome for the ruins, the art, the church and the food. As one of the most seductive, romantic and fascinating destinations in Europe, Rome also offers some of the most memorable cultural sights in the whole of Europe. When you vist this historical city, consider going for a stroll in the Borghese Gardens, and taking in the absolutely beautiful landscape and the historical buildings Rome has to offer. 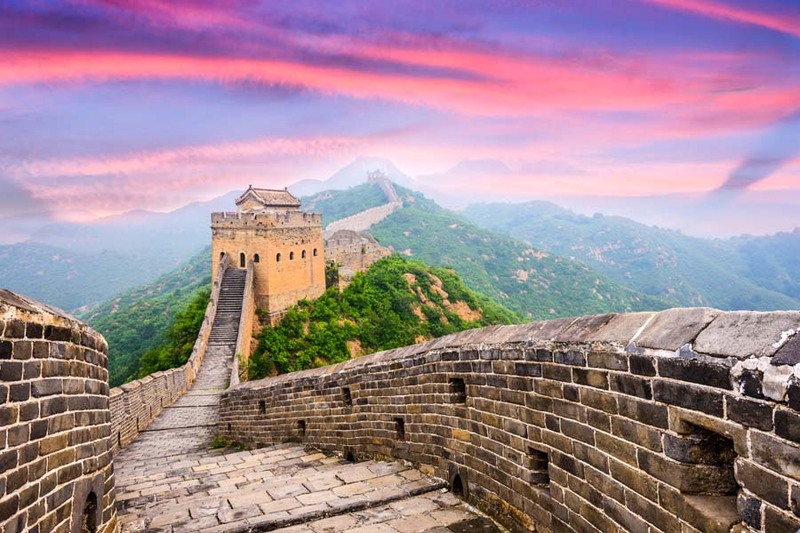 Asia is the most diverse continent on the planet, and as such offers a vast array of tourist destinations. Whether it’s growing cities in Southeast Asia, quiet beaches in Bali or cultural festivals in China, you have plenty of choices to look forward to. So if you’re looking for the top destinations in Asia in 2017 then here are some options for you to consider. Do You Like Sunny Beaches? If you’re looking for someplace warm and sunny in 2017 then your first option should be Seminyak in Indonesia. Although not exactly a secret paradise get-away, Seminyak remains one of the leading resorts in Asia and offers clear beaches and great scenery. Seminyak is also one of the largest tourist destinations in Indonesia, and boasts some of the best major hotels and resorts in the country. But what if you want something less crowded? Well, there is Havelok Island. This relatively quiet beach is located in the Andaman and Nicobar Islands, and features several inns and hotels. Here, you can enjoy the warm, sunny beaches without having to worry about large crowds. Finally, if you want a nice balance between peace and commercial convenience, there is Nai Harn Beach in Rawai, Thailand. Nai Harn features numerous inns and hotels as well as hundreds of vacation rentals. Although not exactly a tranquil paradise, the entire area is relaxing, and whether you want to relax or have fun, Nai Harn has something for everybody. Looking for Peace and Culture? Maybe you’re the deep and meditative type? Well, there are certainly plenty of temples and forest reserves in Asia, but in 2017, you may want to try something a little special. Maybe you’re not interested in old temples in Bangkok and Osaka, and would prefer something more off the beaten path. Well, here are two options that you may want to consider. For starters, there’s Ubud in Bali, which offers a good mix of tranquility and comfort. There, you can experience authentic Balinese massage, aromatherapy and reflexology without the noise of urban life. Also, Ubud features a lot of nice, quiet resorts if you’re just interested in recovering some of your energy. Another great option is the the Terelj National Park in Nalaikh, Mongolia. This place doesn’t feature a lot of chanting monks, but it’s no less peaceful. There, you will be able to experience the wild natural wonders of Mongolia, as you stay in special luxurious yurts and ride real Mongolian horses. If you’re primarily concerned about Asian cuisine then there are plenty of great places to go to in 2017. Shanghai, Tokyo and Singapore, for example, are filled with the best restaurants from all over the continent. However, there are plenty of other cities that you can try if you want to try something new. Among these is Mumbai. Not only is the city one of the most prominent cities in India, the local cuisine offers a nice blend of Mediterranean, Chinese and traditional Indian cooking, definitely something to try if you’re interested in Indian cuisine. A lot of new restaurants have sprung up in Mumbai in recent years, and they may be to your liking. Another good dining destination for 2017 is Phuket, Thailand. Although Phuket is primarily known for its nice beaches, the economic growth of the community has attracted the attention of a lot of big restaurants. So if you like Thai food then you should give Phuket a visit. Of course, you can’t have good food without fine wines, and there are plenty of Asian cities and towns that offer native and authentic wine shops. Singapore, for example, is well-known for its fine wines. Also, there is Hong Kong and Taipei. Bangkok also has some authentic Thai wine shops that you can try. However, if you’d like more Western wines, you can always hop over to Australia and New Zealand once you’ve finished your Asian vacation. Both Australia and New Zealand offer plenty of great wine tours, not to mention their very own wine regions. There is, for example, the Hunter Valley, 2 hours North of Sydney, which offers some of the best wines in Australia. On the other hand, there’s also New Zealand’s Marlborough, which happens to be one of the country’s leading wine making regions. So if you’re planning to vacation in Asia in 2017, just remember that there are plenty of options to choose from. Connoisseurs of fine food and wine usually cite one characteristic that is shared with the best wines and foods all over the world. For the foodie and wine lovers, the following are top destinations for food and wine travel! When you think of Italy, you think of food and wine. And if you want to experience Italy in its truest form, you should consider an Italian food and wine tour. They will give you the experience of a lifetime, sampling the food, wine, and history from your favorite of many Italian wine regions. Let us help you pick the right one for you. There are many areas where you might choose to take your Italian food and wine tour. One of these regions is Tuscany. You should choose Tuscany if you want to enjoy the Italian mountainside with excellent Italian food and wine. The Tuscan people have been making wine for centuries. Touring the area through food and wine could be a dream come true. Sample “new” and “old” wines of Tuscany, watch some of the world’s best olive oil being made and experience dishes full of these perfect Italian flavors. Another area where you might choose to take an Italian food and wine tour is Milan. You should pick Milan if you want a more exquisite and elaborate wine and food experience. The region of Milan is known for its truffles and Chianti wines. This dry red wine goes absolutely with the area’s gourmet dishes rich with truffles and truffle oil. Consider a day of cooking lessons whilst you are there, so you’ll never forget the perfect cuisine you experience on this great food and wine tour. Another area that offers excellent Italian food and wine tours is Sicily. Sometimes called The Island of the Sun, Sicily is regarded as the more exotic destinations of Italian culture. Sicily is a melting pot of Italian, Greek, Spanish and even Arab influences, making it a special place to experience wine and food. They give specialties like seafood and Mediterranean cuisine, that pair excellently with their rich, warm red wines. Ever a strong contender for top spot on the wine tasting list, Bordeaux is one of the exceptional wine growing areas in the World, with many famous and incredible wines on offer, you shouldn’t be disappointed with this one. Make sure you book far in advance for the big vineyards like Chateau Lafite-Rothschild, but there are also a few smaller ones who open their cellar door to the public for tastings. Having eaten in Bordeaux regularly, one knows when one has food with special ingredients long before it arrives at your plate: simply watch the pride by which the food is delivered to your table by the waiter. With Caves Road in Margaret River being lined with vineyards nestled amongst huge Karri trees, it’s no wonder this sleepy town 3 hours from Perth has become so popular in recent years. Best known for food and wine. There are the big vineyards such as Vasse Felix and Leeuwin Estate, as well as smaller beauties such as Lenton Brae and The Growers Handcrafted Wines. The area is famous for its powerful Cabernet Sauvignon, but they also do a very decent Semillon Sauvignon Blanc! Napa Valley is home to over 200 wine producers, and as well as being a fantastic area for producing fine wines, Napa Valley also provides a host of fabulous hotels, top restaurants, and lush day spa’s for some relaxation after a hard day tasting wine. Restaurants for best foods that include many special dishes are found here. Situated on the coast of New Zealand’s South Island, Marlborough is New Zealand’s most famous and fast growing wine region, producing fantastic Pinot Noir, and holding the annual Marlborough Wine Festival. Various luxury resorts are offering its guests cooking sessions with their star chefs. The package would comprise the resort stay and good foods meals, with one or more live demonstrations by the celebrity chefs where guests will be shown how to prepare a various dish or dishes.